CORRECTION: The article initially and incorrectly stated that 31 000 votes had been cast during SRC elections, when only 7024 valid ballots were cast. 31 905 is the total voters roll, or number of students eligible to vote. Wits Vuvuzela regrets the error which has been corrected below. Two weeks of Student Representative Council (SRC) electoral campaigning ended on Thursday with the Progressive Youth Alliance (PYA) edging out Project W, nine seats to six. Current SRC member, Jamie Mighti, who was running for re-election to the SRC, received the most votes, with 2 929 out of the total 7024 valid votes being cast. “I’m very happy,” he told Wits Vuvuzela. Political newcomers Wits Economic Freedom Fighters (EFF) were completely shut out, with their members sitting at rock bottom on the candidate list. Despite this, they continued to sing and dance outside the Great Hall, after election results had been announced by dean of students Dr Pamela Dube, earlier today. They were joined by a mass of PYA supporters, kitted out in their yellow and black t-shirts. Current SRC president and PYA member Shafee Verachia called Witsies “intelligent” for not voting for the EFF. “There was obviously stuff in the party’s manifesto that they clearly don’t like,” he said. EFF candidate, Anele Nzimande said the party was “different” from the other organisations and said they would be continue to be active outside of the SRC. “Even though we didn’t win, we will still continue to work from the outside with the students,” Nzimande said. Also notably absent from the winner’s row was PYA candidate Michlene Mongae, who is a member of the current SRC and was campaigning for re-election. PYA candidate Mcebo Dlamini put the PYA’s win down to “loyalty”, saying that students voted for what they know. 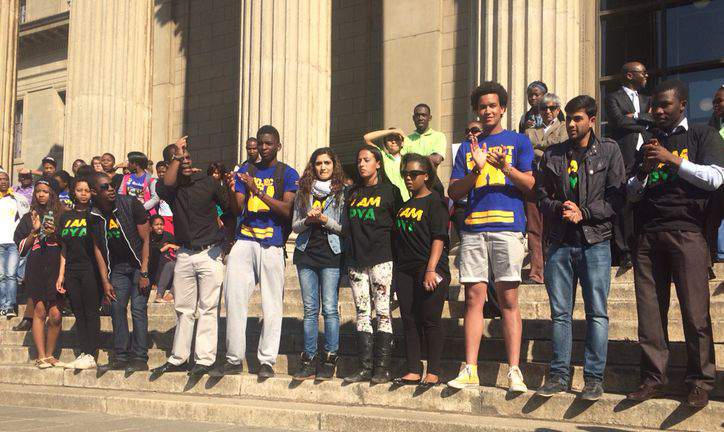 7 192 students voted out of the approximately 30 000 at Wits, amounting to only 23% of the student population. The SRC president will be announced later this month and will most likely be someone from the PYA, as they had the most candidates elected onto the SRC. Mighti said that while Project W had hoped to be the dominant party, they were committed to working in partnership with the PYA. The new SRC will take office on November 1 this year.